With the Champions Trophy, firmly in the rearview mirror, India proceed to the West Indies for a series comprising of five ODIs and a T20I. Nowadays, there is a lot of criticism regarding meaningless bilateral ODI series which lack context. The Champions Trophy is a short series of 15 matches which pit the world’s best eight teams against each other. Teams know where they stand in regard to their preparations for the World Cup which will be held in the same venue in 2019. West Indies will be hurting from their omission for this edition of the tournament and need to put up a good show in order to avoid the ignominy of playing the qualifying tournament for the 2019 World Cup. India will be looking to iron out the few chinks in their armour. Therefore, this promises to be a fascinating series. The two teams have played eight bilateral ODI series in the West Indies and both won four apiece. 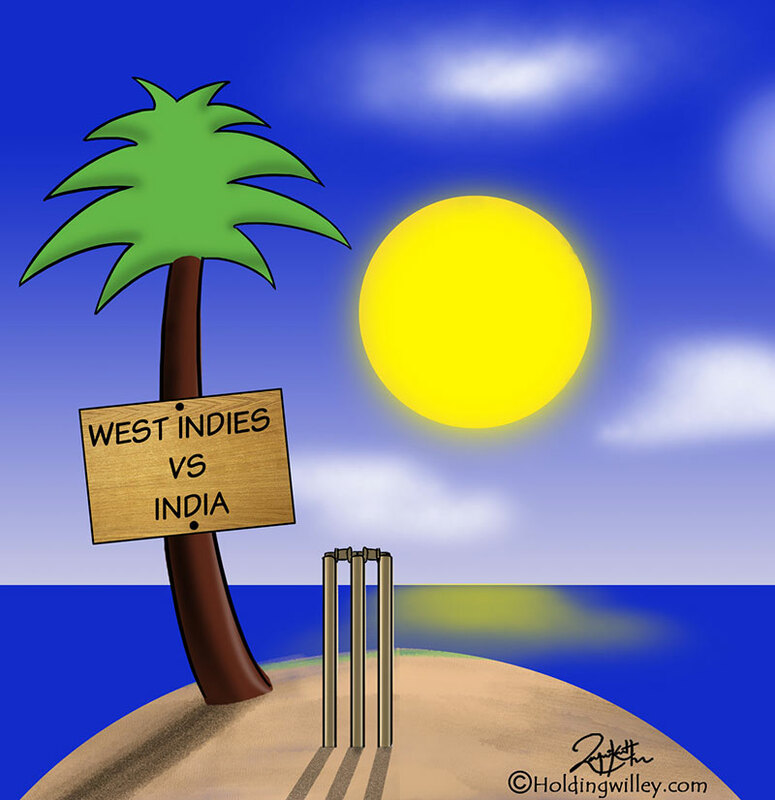 However, India have won four out of the last five ODI series on West Indies soil. Overall, the two teams have played 31 ODIs, in the West Indies with the hosts winning 19, India winning 11 and one being a no result. Taking into account, ODIs all over the World, the two teams have contested 116, with West Indies winning 60, India winning 53, one being tied and two ending in a no result. Given their commanding performance in the Champions Trophy, India start as firm favourites but West Indies are more than capable of springing an upset. Here we relive three close finishes between the two teams in ODIs on West Indian soil. India won the toss and elected to field in a match which was reduced to 45 overs per side. West Indies got away to a blazing start courtesy of Chris Gayle who was in a murderous mood. He continued to play aggressively in spite of losing the wickets of Runako Morton and Ramnaresh Sarwan. Even Brian Lara was put into the shade as Gayle scored 123 off just 130 balls studded with 18 fours and two sixes. West Indies scored 251/6 off their 45 overs setting India a target of 252 at a required run rate of 5.57 runs per over. The Indian skipper, Rahul Dravid was opening the batting for India and he gave a fitting reply to the imposing West Indian total. India were in a spot of bother at 86/3 when Mohammad Kaif joined his skipper at the crease. The duo put on 123 in a little over 21 overs to take India close to victory before Dravid was dismissed for a well-made 105 off just 102 balls. At that stage India needed 43 runs off just 37 balls. Mohammad Kaif showed a calm presence striking the winning boundary of Dwayne Bravo with a ball to spare as India registered their 17th successive win in a run chase. Rahul Dravid was adjudged the Man of the Match. Due to frequent interruptions for rain, the match was reduced to 27 overs a side. Ramnaresh Sarwan was the top scorer for the West Indies with 62 and the other batsmen made some small contributions as the West Indies scored 186/7 off their 27 overs. India were set a revised target of 195 off 27 overs due to the Duckworth Lewis method. Gautam Gambhir and Dinesh Karthik got India off to a quick start putting on an 84-run partnership for the first wicket in 12 overs before Karthik was run out by a direct hit from Ravi Rampaul. Dhoni promoted himself to the number three position to give impetus to the Indian innings. Rain once again interrupted proceedings and India were set a revised target of 159 off 22 overs. Dhoni continued to score quickly and India needed 11 runs off the last over. Dhoni struck a six off the second ball and India scored two, one and one off the next three balls to win by six wickets with a ball to spare. West Indies won the toss and elected to field. India failed to get any momentum in their innings and apart from Rohit Sharma and Suresh Raina no other batsman crossed 30. India scored just 229/7 off their 50 overs. Umesh Yadav and Bhuvneshwar Kumar struck with the new ball to reduce West Indies to 26/3 to give India a glimmer of hope. However, Johnson Charles and Dwayne Bravo put on a partnership of 116 for the fourth wicket to bring West Indies back into the game. West Indies needed 19 runs off 59 balls when Charles was caught by Ishant Sharma off the bowling of Umesh Yadav. West Indies lost their ninth wicket on 220 with the last wicket pair of Kemar Roach and Tino Best at the crease. The last wicket pair took West Indies home scoring the remaining runs in ones and twos. These were three intriguing and close matches between the two teams. All fans must be hoping that the upcoming ODI series will provide equally entertaining and closely fought matches.